This circle of jagged rock looks like a fort from yesteryear. It is actually an old tuff ring, a compacted pyroclastic deposit, located southeast of LaPine, Oregon. 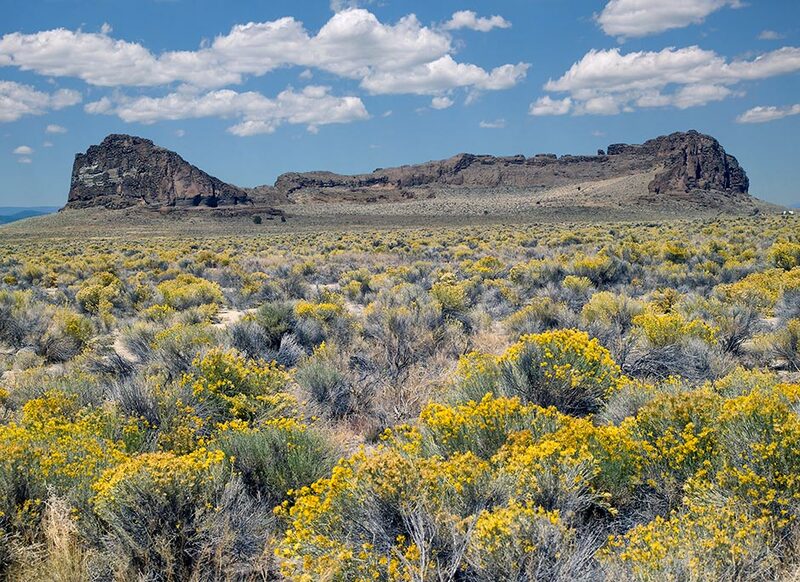 The Yellow sagebrush dresses this Natural National Landmark.